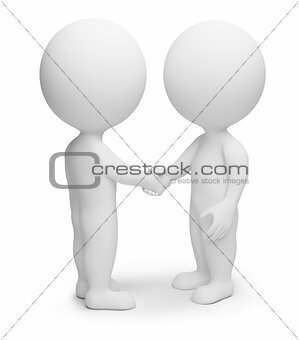 Image Description: 3d small people - friendly hand shake. 3d image. Isolated white background. XXXL 36.3 x 41.4 cm 14.3 x 16.3"